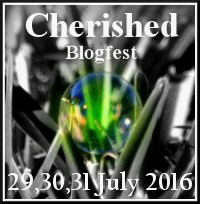 Participating in the Cherished Blogfest #CB16. My cherished item is my album. You don't beleive but I have my old photo albums from my childhood still preserved safe in the shelves. They are very close to my heart. Whenever I feel lonely or deprssed or lack any motivation, I just take my album out and turn the pages, remembering the old times, re-living those happy moments until I feel positive again. These albums from different stages of my life always bring smile on my face on any day. I have photo albums covering different stages of my life till marriage. Later, I have moved to digital copies. Google Picassa has become my best friend to save my happy moments from then. Now, I back up all my smart phone pics to Google photos which has enhanced storage and sharing options. What is your most cherished item? Do you also retain copies of your old photos in albums still? Or did you move to online storage? Will hop onto your blog soon. I too love my diary, but couldn't maintain for long time. I take a lot of picture, and I store a lot of them online. What I did recently though is treat myself to a Canon Selphy printer so that I can print quality pictures that won't fade at home. I use a lot of these pictures I print to decorate my home or use in my creative journals. Me too me too. I love going through my old albums... and cherish them too. Photo albums are very special indeed. Hi,Mahathi - We have both written about the same cherished object for the Cherished Blogfest. I also have old photo albums preserved from my childhood, as well as photo albums from my grandparents. I agree with you that old photos can quickly brighten our mood and take us to places that we can no longer physically access. Great post! I have quite a few and my college days photo album is one and my BPL prepaid card which I first used..need to find them and post cards of film stars. Love ur diary. It's so cool. Same as you, I have many photo albums from childhood and adult years, along with photos from my parents' past. They are all precious to me and make me smile whenever I look at them...especially those that make me wonder, "What was I wearing? Yikes!" I'm glad that you have preserved your photos and keep them safe on a shelf. Thanks for participating in the Cherished Blogfest! I hope you'll do this again next year. We have many photo albums as well as tons of digital photos. 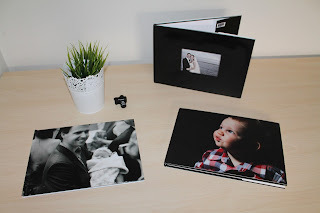 lately, we've been printing some of the digital photos and creating new albums. There's something special about reliving memories through a photo album. Thanks for joining us and for sharing your love of these photos with us. I also love photos but I don't have as many albums. Now I save digital copies and sometimes print them. I agree that pictures from the past bring such fond memories. Good one there. I have a lot of digital photos now, but I still prefer conventional pics in albums. There's something about leafing through albums and reliving old memories. Good post! Photo albums are indeed precious. In an episode of Grey's Anatomy, Meredith said: In a fire you grab your kids, your keys and your family albums. Photos can hold so many memories. Thanks for sharing. Lovely. Old photos can give us surprises. We all have pictures we love.